Protective Magical Amulets: what they are good for? How to create your own powerful amulet? An Amulet is an object, which protects its owner against some negative influences or it gives him/her power to accomplish certain task or go through certain (difficult) life situation. Amulet can be created from any material, which comes from nature and has ability to keep the energy inside (for example crystal, gold, silver, copper, wood, clay...). Best time for creation of an amulet is from one dark moon to next dark moon, what means the cycle of 28 days. The amulet is mostly prepared for certain person and it is loaded with protective energies and certain qualities, which should influence that person in positive way (in fact, these qualities will move into the aura of the holder). 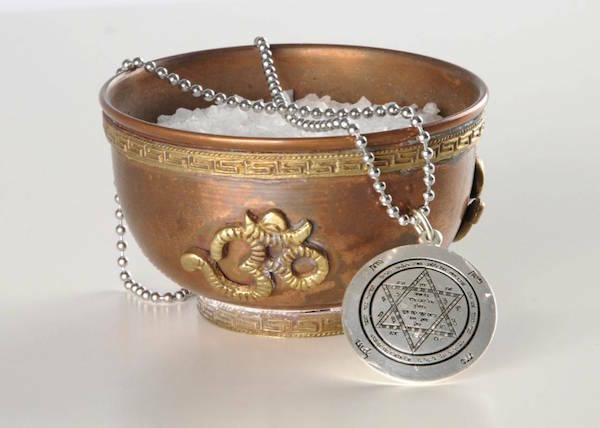 The positive qualities are going inside the amulet by saying positive affirmations with strong concentration and by creating of some positive elemental being, who keeps the energy and do special tasks, which were given to it. 1. For people, who feel lack of energy or preparing themselves for some difficult action we offer protective amulets loaded with power and protection. The price for such amulet is 100 Euro. An amulet will be loaded with powers for 7 days. 2. For people who are under the influence of black magic or some big negativity, we offer extra strong amulet, which is loaded individually according to special needs of the client. The price of this amulet is 350 euro. An amulet will be loaded with powers for 28 days. Do this ritual in the day of dark moon. Then, you will return to the amulet every day till the next dark moon. This will make the energy of the amulet growing stronger and stronger. Preparations before the ritual: place the amulet on the altar (or other place, where you want to perform your ritual) directly in the middle among four violet candles. Pay attention to your feelings and state of mind. The ritual will be successful only if you feel good and relaxed! Ritual instructions: make a magic circle around you: best is to make a circle from 7 white tea-lights on the material level combined with strong visualisation of light in the clockwise direction. If you need more information about magic circle, click here. Call energies/angels of four directions (east, south, west and north) for support and protection. Call spiritual masters or angels or helpers of light for support and protection. Ask for help also God Almighty to help you and keep the energy inside of the amulet. Ask masters/angels to load the amulet with their pure energies. Charge the amulet with the power of positive affirmation. For example “I am health (we have to find place in ourselves, where is this affirmation truth. We have to believe in what we are saying. So, for example, in the meaning of your immortal eternal soul, this is the truth).You (we are speaking about the amulet) are health. And we are one!” Then, when we feel it was done, it was completed, thank to God Almighty, masters and angels for their help and support. Finish the ritual. Remove the magic circle mentally in the counter-clockwise direction. Blow out the tea-lights.Don't blow out the violet candles. Let them burn, at least next four hours, possibly more. 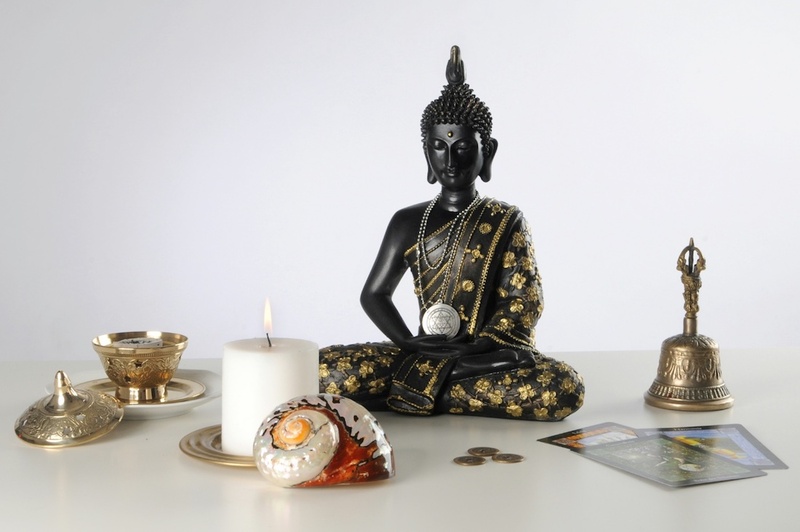 Then, light the candles every day and concentrate on the amulet, saying positive affirmations you have decided to use. This way, you can create in amulet an astral being, which will be the carrier of the power. After 28 days of work, give to the amulet one drop of your blood and the amulet is ready. If you have prepared amulet for somebody else, s/he has to accept is first and say: ”Thank you, protective amulet, that you have come to me. I accept you and I connect our energies.” It is important to carry the amulet at least 7 days directly on the skin. If this is not possible from various reasons, one should carry the amulet in the pocket or in a handbag, wrapped in some cloth.